Showing real differentiation and value is the fastest way to make a name for yourself among the crowd of blockchain-based Startups and its Applications: Smart Contracts, Crypto Currencies, Clinical Histories, among others. If you are running a tech Startup in finance, insurance, IoT, government, health or any other industry in the US or Canada and would benefit from having your own tailor-made Blockchain architecture, this post will be valuable for you. Teravision set up an Agile Blockchain Software Development team of 10 developers to run a Proof of Concept (POC) and spread the practice internally to other teams. Our approach to the POC and continued addition of unique features to it got us prepared to receive your projects and create blockchain apps that will be on top of your customers’ lists. The POC features and benefits to your business. The software development team worked on developing and deploying a working Blockchain software. The result was a full solution, built from scratch, that covers all standard operations on the Ledger. A Website to handle wallets, their balance and related blocks mined. P2P nodes as the base of decentralized processing to create and validate wallets/transactions as well as for mining. Backend: Genesis block creation and administration of connected peers in the network. The solution performs very well and we went even further than other firms by defining our own architecture for this POC instead of just using Bitcoin, Ethereum or other libraries to deliver “dapps” (decentralized apps). As of today, we are extending the development to Smart Contracts as the next logical step. The net advantage for your business is that Teravision’s expertise on the fundamentals of coding Blockchain-based applications works either for building well-known libraries such as Bitcoin and Ethereum or building them from scratch. Let’s do it! We offer full support to deploy our POC on your premises (or just ask for a demo session) as a base to start technical conversations about your next software product. 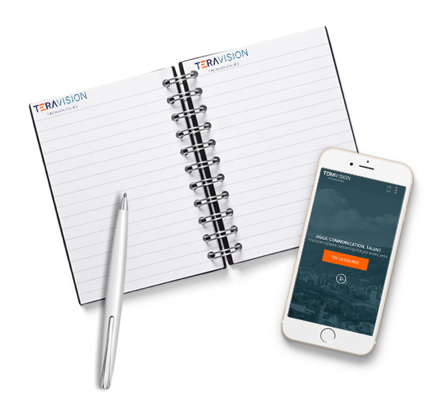 When it comes to new challenges and disruptive proposals in apps, Teravision teams work hard with customers to get the job done. Hire an Agile Blockchain Software Development that speaks your language. Let’s talk about your unique Blockchain needs. After 16 years of working experience serving customers in the US and Canada, two delivery centers in South America (Colombia and Venezuela) and 180+ developers. Teravision is now on a fast spread of Blockchain teams and ready to become your trustworthy Nearshore Blockchain partner for any application.